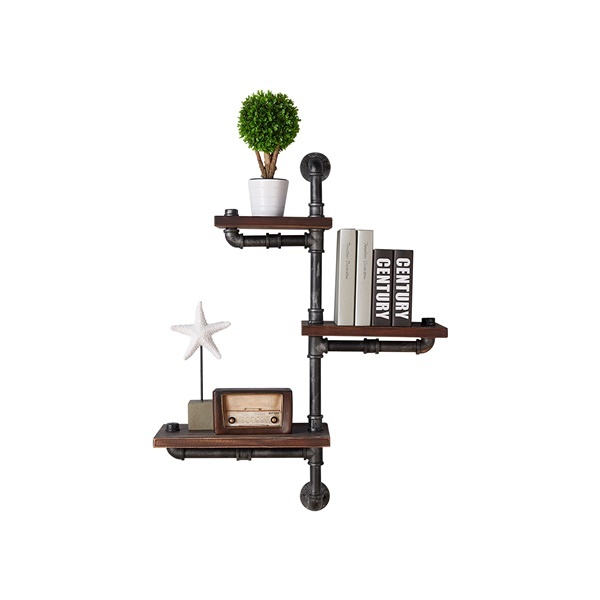 When you need a shelf for your home, choose this Orton 3-piece floating wall shelf. This beautiful and unique shelf has three shelf sections that are made of pine and finished in wood. The frame is made from metal pipes finished in grey. This sturdy, interesting shelf is a reliable way to add storage to your home.